January's Birchbox samples all focused on 'clarity' to start off the New Year! *Disclaimer - I am not affiliated with Birchbox (or any of the product brands featured in this post). I have not received compensation for this post in any form (monetary or otherwise). I paid for the subscription and all opinions voiced on this blog are strictly my own. Personally, this product is useless to me. Although I'm pushing 31, (and not to toot my own horn here…) I look incredibly young for my age. 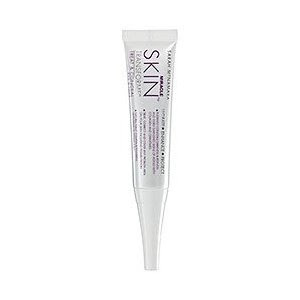 I don't have bags under my eyes or wrinkles (yet), and this product is for tightening the skin and brightening dark circles. I haven’t tried it yet and doubt I will. It's a pretty large sample though so that's definitely a plus for those of you interested. Anyone who wants to try it and doesn’t currently subscribe to Birchbox (or if you are a subscriber but it wasn’t in your box), let me know and I will mail it to you! Lord knows, even if I was interested, there is no way I would pay $80 for the full-sized product. This was my favorite sample this month. I was astonished how well it camouflaged my blemishes! It blended so well and my breakouts were nonexistent. It’s also medicated with rose and chamomile extracts (to calm inflammation), as well as vitamin K (to reduce dark spots). It’s really concentrated so a little bit goes a long way. I've been looking for a great concealer ever since my face returned to its 16 year old status a few months ago (you can read more about that below). A friend recently told me about Mac’s concealer stick and I'd thought about trying it out, but I think I might splurge on this one. I liked it that much! Unfortunately, it’s on backorder and wait listed on the website right now. Everyone must have liked it as much as I did! I’ve added myself to the list so that I can buy it when it becomes available. I really enjoy trying out different fragrances to find out which ones I like. I hate buying new ones because there’s about 10 different bottles from the past 10 years sitting in my bathroom cabinet. Plus, I am really committed to Victoria Secret’s Pink body splash (I love it soooo much) and I doubt that I would use a new one if I bought one. You never know though... so its fun to switch it up every once in a while. I like the muted pastel look of this polish collection and $8 is pretty standard for a quality polish. I haven’t used it yet though. 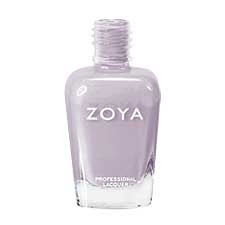 In fact, I’ve never tried any Zoya polish... so I’m looking forward to it. This was my “extra little something” sample this month. I haven’t eaten it and doubt I will. If you know me—you know I don’t like to keep it healthy. HA HA—kidding… sorta! Granola is just not my thing. Do you participate in Birchbox? What did you get this month? 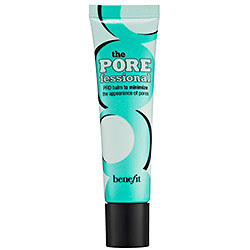 I mentioned I received Benefit’s POREfessional but hadn't tried it at the time of my post. 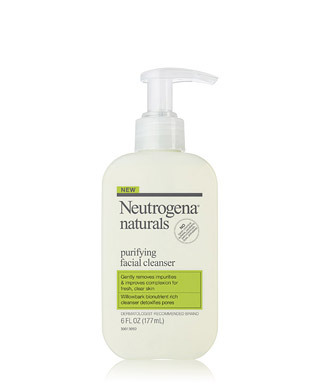 My face was currently experiencing a crazy return bout of acne, and I was afraid to use a new skin product. I worried my face might break out worse. But I broke down and tried it several days later anyway... and I’m glad I did. I haven’t had a problem with it irritating my face, and it made my pores disappear! I’ll be buying it when my sample runs out, for sure. I tried out Revlon’s ColorStay Long Lasting Nail Enamel recently, and I'm impressed. I got the Midnight Blue and it definitely lasted a significant amount longer than most polishes do without chipping. It didn’t last a full 10 days, but it lasted around 7 or 8. I will say I didn’t realize they sold a top coat until after I purchased it and applied it. So, I just used a cheap top coat from Wet N Wild (which I find works better than most anyway). 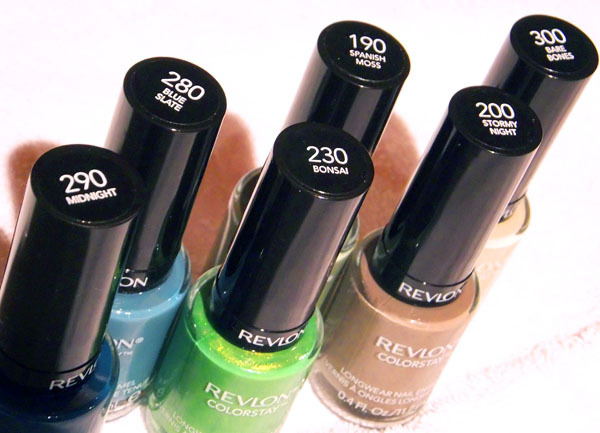 The polish might last longer with the top coat they recommend for it. As I stated earlier, my face has been breaking out like crazy. When I was a teenager, I had horrible acne. I tried everything and saw three different dermatologists before I started Accutane when I was 19. I took Accutane for 6 months and my face literally transformed into a completely new one. I went from constant breakouts to zero breakouts. My face was flawless, and I was in love. Honestly, I maybe had a total of 10-15 blemishes until I turned 30. TOTAL. But for whatever reason, my face started breaking out again. The breakouts aren't as bad as they were when I was a teenager, but they aren't pretty either. I've tried it all. I switched to Cetaphil and wouldn’t wear makeup. I treated my blemishes with Clean and Clear’s spot remover and it cleared them up quickly, but another one popped up as fast as I got rid of the last one. I was complaining to my hair stylist one day about my recent breakouts, and she explained that adult acne is a lot different from adolescent acne. She told me about two great products that she found worked for her, so I decided to try them out. I can't say enough about both of these products. They have significantly cleared up my skin. 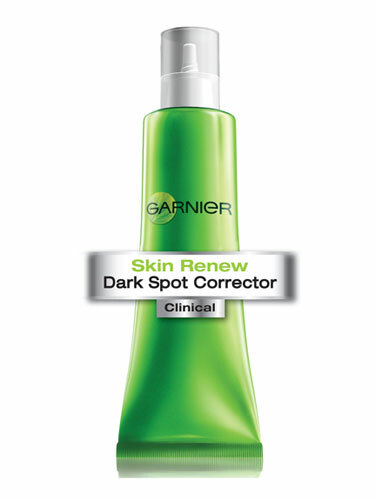 The dark spot corrector is so much more than just that. In addition to reducing dark spots, it also moisturizes. I have always stayed away from moisturizers because I thought they would cause my already oily areas to be worse. This is simply not the case. I've been using these two products together for about three weeks now and they have worked wonders. If you haven’t tried them yet, I highly recommend them! i am happy with my box, but i do kinda wish i had gotten the miracle skin transformer! and i'm super jealous you got the porefessional last month! i've been wanting to try it! I seriously would have never guessed 30! I have been using birchbox since the month it started(Oct of 2010) I love it! Such amazing stuff! I always get told that I look much younger than I really am - same thing... when I was in HS, I looked like a middle schooler, college - high schooler, and now... I still look like I could be in HS. I don't mind it until I want someone to take me seriously! This is the Birchbox I'm getting too...it just hasn't arrived yet. I wish there was an age element to the beauty profiles. I have no interest in firming or line filling at 27. I would have much rather gotten the Stila eyeliner instead! This was my first month as a subscriber and I was pretty pleased. I was bummed that I didn't get any skincare products though, I really wanted to try to eye serum and concealer. Oh well! I hate to say it but I haven't been too impressed with my last few birchboxes. Infact I cancelled them for this next month!